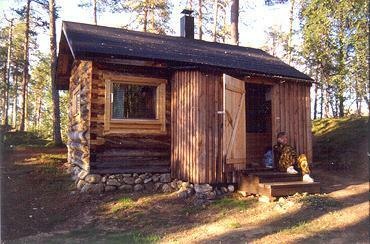 This secluded wilderness cabin is found only 9 km south from the village of Inari, in Inari Hiking Area. Nukkumaoja cabin was renovated in 1998. It is suitable for families, berry pickers and hunters. A bunk bed and a convertible bed in combined kitchen-living room. Fireplace/iron stove, gas hot plate, solar panel lighting during March-October (an other time candle lighting). Cold cellar. Wood-heated sauna in a seperate building, campfire site, smoke oven. Drinking water from the stream, in wintertime, an unfrozen spring by the path, 80 m from the cabin. Water is not examined yearly so boiling the drinking water before use is recommended. WILDERNESS CABIN: Facilities in wilderness cabins are often more modest than in holiday cottages. Cabin is not preheated before customers arrival. Cabin should be cleaned by the customer during the holiday and after that. Due to long distances maintenance doesnt check the cabin after all customers. If the cabin is not cleaned or there are deficiencies, please contact the caretaker immediately on arrival by calling. Please, remember to bring your own bed linen and towels (can not be rented). This cabin requires outdoor attitude and skills (how to make fire, for example). If youre not sure, please consider another option. Water is not examined yearly so boiling the drinking water before use is recommended. For fishermen's delight, the cabin is located in the middle of good trout, grayling and arctic char waters. 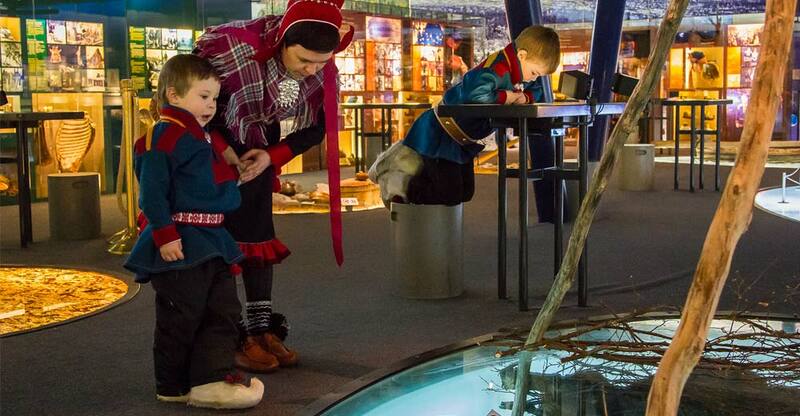 Siida Nature Centre and Sámi Museum 10 km. Prices shown as provided by the landlord. The final price will be confirmed upon reservation.